Well, it’s Easter. It’s a time of transition as we move into the colder months here in Melbourne. 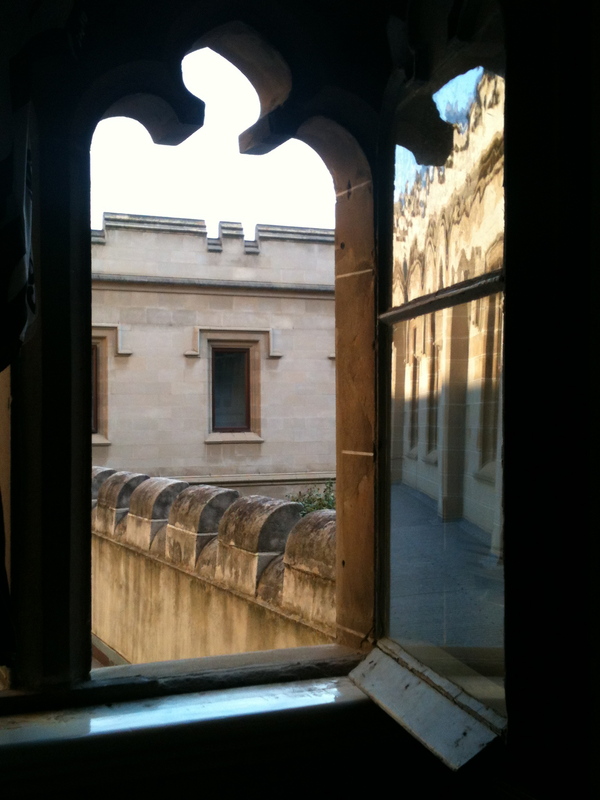 It has been a very quiet month on the blog mainly because I’ve started teaching again, back in Classics and Archaeology at the University of Melbourne. I’m loving it. The material I’m teaching is great (Greek and Roman Myth and Ritual, and Egyptian and Mesopotamian history and archaeology), and I love my group of students. I have seven classes, each with its own character. After the PhD I spent quite a while looking for other things, but being back in the classroom I think I was crazy leaving. I feel alive and a strong sense of being connected to my purpose. Teaching a lot of new material was a little daunting at first, but in practice it’s what I’ve done for almost 15 years. I’m fast to master the different texts and this process is in itself extremely satisfying. I’m also enjoying the new structure of my week. For the first time, I’m able to focus on the teaching 100%. In the past it was always alongside post grad study. Long rides are much harder to fit in now. To be honest though, I don’t feel the need for them that I did before. That said I do want to maintain the form I’ve worked hard to get into. At the start of the month I rode the Netti Lake Mountain Challenge which I mentioned in my last post. It was my first event like this and it was interesting riding amongst so many others. I was by myself for much of the day. Mechanical difficulties meant that I lost touch with my mate Sam, but just as I summited Lake Mt I crossed paths with another riding friend, Alex. He waited for to refuel and for the mechanics to look at my bike and then we did the final 20km decent together. It was a great finish to the day, In the end it was 165km and 2,200m of climbing. Check it out here. Next weekend is the next in this series, the Baw Baw Challenge. Fortunately, the ride doesn’t actually include this formidable climb. The final 6km is notoriously hard. Even serious racers average about 8km on the ascent. It must be brutal. I’ll be happy to explore the surrounding country and a few smaller climbs. My riding is changing. It wouldn’t be apparent to anybody else, but I’m allowing myself to ease off a bit. For quite a while, on every ride I’d put a lot of pressure on myself to ride faster and harder. I did get some really good results but it was also adding to my stress and this was counter productive, especially as riding was meant to be assisting with stress management. It doesn’t mean that I don’t go for it. Of course I do, but with less self-imposed pressure. I feels good. If you’ve been reading this blog for a little while, you’ll see that I tend to use my riding for my self-coaching, to nut out underlying issues and confront aspects of my own mind and rework them. It’s also been about proving to myself what I’m capable of when I give myself the chance. With the return to university teaching, and soon field work and research, I have the opportunity to use some of this in my day to day work – to acknowledge my fears and doubts, and counter them with confidence earned from years of experience and learning. It takes a bit of work, but it works. It’s especially good to get to that point when we start giving ourselves credit for what we have done, what we know or have mastered. I challenge others on this too. Just the other day a colleague was talking about how worried he was with his progress. This guy happens to be very bright and has had numerous achievements in his field. So I asked him if he had ever failed to deliver. No. Well then, I asked, was’t it time to start backing yourself? And if not now, when? Going forward, this is the kind of thinking that is necessary to create the right mental state, the peace of mind and focus which enables us to not merely achieve but to enjoy the process along the way with all it’s uncertainty, and the inevitable tests and challenges. I love Uni Melbourne. Such a beautiful campus. It always makes me feel like I’m in a movie when I go there. Thanks Andrew. 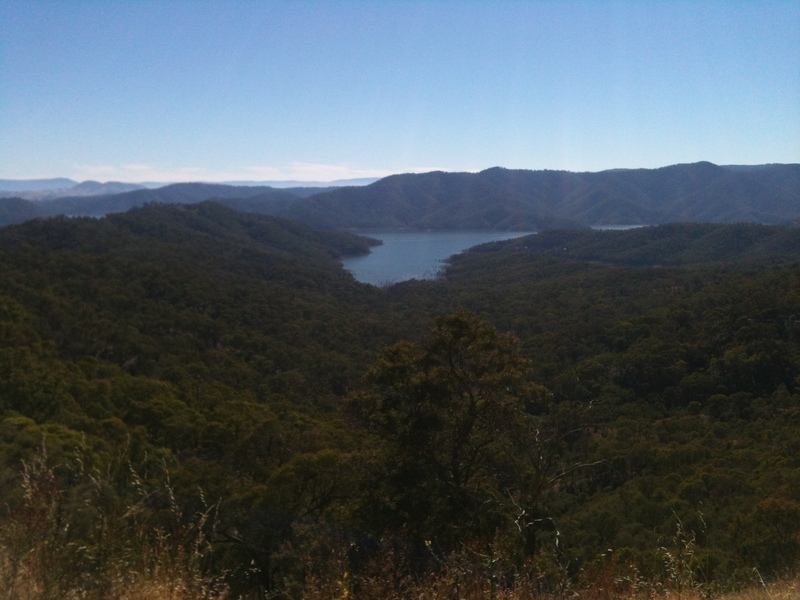 I meant to mention some of the highlights of that Lake Mt ride like riding over Eildon dam and alongside the Cathedral Ranges. I was pushing to make up time so I didn’t get many shots. Re Uni, my old office opened on to the interior of the Old Quad, so I frequently had to interrupt wedding parties and film crews.